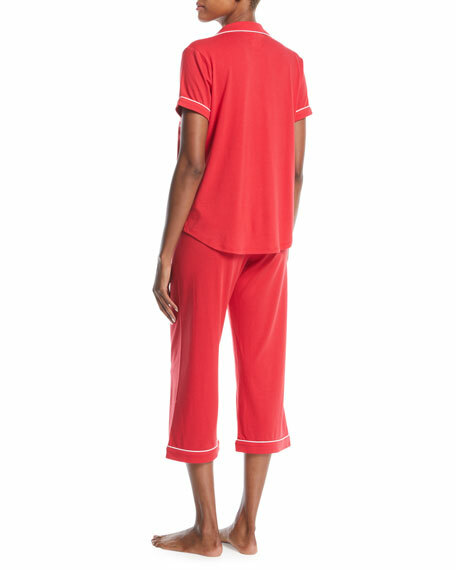 kate spade new york pajama set with contrast piping. 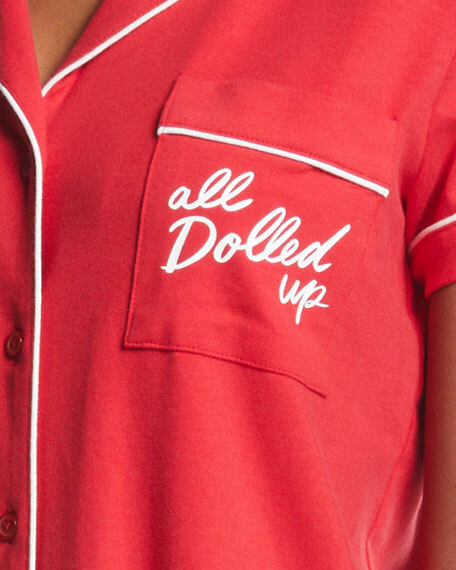 Patch pocket at left chest; "all dolled up" embroidery. 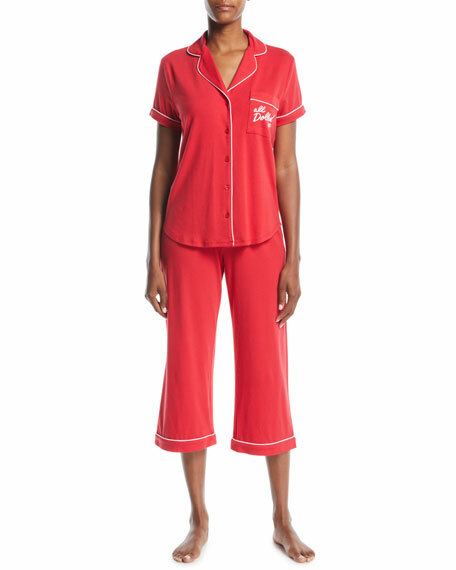 Includes matching cropped lounge pants. For in-store inquiries, use sku #2680239.